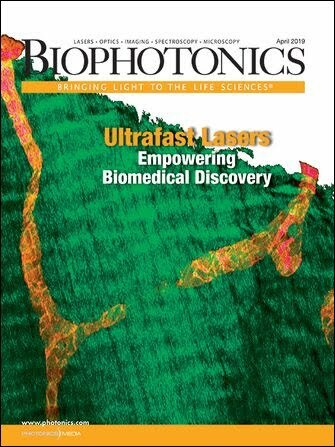 In our May/June issue, we reported on the launch of the Center for Biophotonic Sensors and Systems. Here’s how the research conducted there will affect health care spending, according to the center’s leaders. Innovation and a focus on evaluating the marginal benefits of spending on new innovations are becoming increasingly crucial in providing quality patient outcomes while lowering health care costs and sustaining economic growth. Total US health spending for 2010 is estimated to be $2.6 trillion (17.5 percent of gross domestic product [GDP]). It is projected to grow to nearly $4.6 trillion (19.6 percent of GDP) by 2019, according to Centers for Medicare and Medicaid Services. As support for health care becomes a priority in the federal spending debate, critics are voicing concerns about the sustainability of this spending. Initiatives such as the National Science Foundation’s Industry/University Cooperative Research Centers (I/UCRC) provide a generic mechanism for identifying industry challenges and matching university research efforts that can serve as a solution. The newest I/UCRC, the Center for Biophotonic Sensors and Systems (CBSS), will create an environment that directs research at industry-identified challenges in the health care sector. Initiatives such as I/UCRC provide an environment where industry and university researchers can exchange ideas on precompetitive research. They also provide a forum for conducting research evaluations, analyzing results and ultimately initiating a technology transfer process that leads to product commercialization. In this environment, faculty researchers learn to value industry collaborations through personal reward structures on successful commercialization while providing a public service by contributing to reducing health care costs. The desired output will be advanced instrumentation that dramatically lowers health care expenses and/or standardization of instrumentation that lowers the amortization expenses factored in per-test costs. Members include representatives from all levels of the industry value chain (suppliers and users of diagnostic, analytical and monitoring tools), and the center is anchored by the researchers and clinicians at the respective engineering, science and medical schools at the university sites. On the launch of CBSS, Boston University and the University of California, Davis, combined have nearly 80 faculty researchers and 250 graduate students and postdoctoral researchers in disciplines that include biomedical engineering, electrical engineering, chemistry, physics, ophthalmology, microbiology and psychiatry. The Future of Light Symposium at the Boston University Photonics Center is held in conjunction with the I/UCRC’s annual program review and Industrial Advisory Board meeting. Images courtesy of Thomas J. Dudley, Boston University. This multidisciplinary research resource would be the envy of even the largest and most sophisticated corporate research labs. It is an absolute necessity in understanding the complexity of the health care challenges and in developing integrative systems that will help address those challenges. A typical medical device currently used in diagnostics is a complex system that includes modules for sample preparation, screening, filtering, measurement/detection and analysis. Diagnostic tests need to detect and diagnose conditions sooner and with greater selectivity and specificity. The complexity of the instrumentation limits the use of most devices to clinical labs, with lead times for results often days or longer. If the vision of personalized medicine is to be realized, these tools must be portable and inexpensive. Ultimately, physicians will be able to tailor treatment to a patient’s unique characteristics, and the result will be earlier diagnosis and treatment with targeted therapies and fewer side effects. Currently, practical medicine administers drugs using a population-based assessment; however, it is an achievable goal to follow the diagnosis with testing that will identify the unique genetic profile of individual patients to determine personalized therapies. Research at the center includes a label-free virus detection platform that approaches the sensitivity of polymerase chain reaction (10 to 100 viral particles per milliliter) with the advantages of improved speed, multipathogen discrimination and simplicity; single-molecule DNA sequencing techniques based on the optical readout of DNA molecule translocations through nanometer-scale pores; direct molecular detection via surface-enhanced Raman spectroscopy; standardized front-end platforms for sample collection screening; and filtering that would support all analysis technologies and many other optical-based technologies for whole virus, protein, RNA/DNA detection and analysis. Key in many of the research efforts is a focus on simplicity and standardization, which will drive down the cost of the instrumentation and reduce the need for specialized technicians to run the tests and analyze results. As an example of potential health care cost savings, imagine oncology surgeons having access to molecular profiling in the operating room. Better margin analysis of tumors could prevent multiple surgeries spaced days or weeks apart. It also could provide better ways to determine a tumor’s metastatic potential, which will drive decisions on adjunct chemotherapy after surgery. And postsurgery, having better methods to assess the tumor response to chemotherapy could dramatically improve the treatment’s effectiveness: Currently, 90 percent of people treated with adjunct chemotherapy have only a 10 percent benefit. Patient drug effectiveness monitoring has ramifications beyond cancer care. Prescription drug-related adverse outcomes in 2008 led to nearly 1.9 million inpatient hospital stays, resulting in a mean hospital cost of $13,600, according to the Agency for Healthcare Research and Quality. Prescription drug issues also contributed to an additional 838,000 treat-and-release emergency department visits. American Medical News reports that less than one-quarter of the visits – and less than 10 percent of inpatient stays – were due to mistakes by physicians, pharmacists or patients. The rest of the cases were patients who took prescribed medicines as ordered but who later experienced side effects severe enough to send them to a hospital. Developing tools to personalize care could transform drug administration protocols, which could lower costs by eliminating adverse outcomes and costs associated with drug incompatibilities. Point-of-care tools also will be used proactively for drug resistance testing and follow-up monitoring, driving drug combinations to most effectively combat disease. Of course, the key to drug selection depends on having a pipeline of therapeutics that can address targeted diseases. Here, the challenges for researchers and investors appear daunting. On average, companies spend an estimated $1.2 billion to $1.3 billion on research and development for each approved drug or biologic (accounting for the cost of failures along the way), according to a November 2010 FasterCures white paper. That’s almost double what it cost 10 years ago. For every 5000 to 10,000 compounds that enter the drug discovery pipeline, only 250 will progress to preclinical development. Five will move forward to Phase I studies, and only one will survive to become an approved drug. It is in the drug discovery process that breakthrough optical innovations could fundamentally alter drug development. The scientists in the center have significant levels of research into analytical platforms that can profile the entire physiology of a cell and tools that can be used to understand cellular mechanisms, disease/cell interactions and drug/diseased cell interactions (see http://cbst.ucdavis. edu/research/hiv-transmission-visualization for high-resolution video microscopy depicting transmission of HIV from infected to uninfected cells via virological synapses). The tools used in the drug discovery process are generally common across the pharmaceutical and biotechnology industries, and these industries should be willing and active participants in the center without any compromise of competitive information. All researching a specific disease area should benefit from this precompetitive exchange of information and a standard and methodical process for access to new inventions. Additionally, the center’s membership is broad enough to include the likely suppliers of equipment to support the pharmaceutical and biotechnology research efforts. The center provides a mechanism for addressing key requirements of the drug discovery process while allowing the pharmaceutical and biotechnology companies to focus on their core competencies. Finally, a benefit of having the full participation of health care industry stakeholders in the center will be the ability to have real discussions related to cost versus benefit of new technologies. Researchers, industry and clinicians must make critical assessments related to the amount of information that is collected from innovative screening tools versus methods, cost and the value in patient care of actually exploiting that information. For example, the difference between an early diagnosis and presymptomatic diagnosis will be a fine line that poses challenging questions and has implications for treatment. In this case, there may be decisions that balance administering treatment to delay the onset of a disease and thus possibly reduce long-term care vs. the unnecessary cost of administering treatment where there could be unknown outcomes. The cross section of the industry should help put these discussions in perspective and focus research on high-value payback areas. Thomas J. Dudley is assistant director of the Photonics Center at Boston University; e-mail: tjdudley@bu.edu.